Performance management as we know it is being challenged and changed. This is one area within HR space where the fundamental business process is being challenged & redesigned. It was companies like Adobe & Cargill who announced back in 2012 replacement of the annual performance review with frequent –check-ins and feedbacks. Cargill in fact named its program – everyday performance management. However this trend is now slowly catching up with companies like Deloitte, Accenture and GE (The father of the annual performance review & the bell curve). Most HR Leaders are now talking about or asked about how they are changing their “rank & yank” processes with “Frequent Dialogue” based processes. Many companies are now making managers responsible and accountable for this process. Some are even designing training programs and reward mechanisms for managers to help them deliver on these expectations. Coaching, Mentoring, Focus on Development are some of the terms being frequently used while describing new age performance management processes & solutions. If you are particularly interested in getting a nice infographic on history of Performance Management I suggest you take a look at this. So where do you start if you are looking to automate or digitize your Performance Management process? Here one must understand that while the basic process of Performance management in most organizations would remain the same, depending on the stage of evolution, culture and market/s the company operates in they would have unique features to the process. This in my view becomes the most challenging aspect of “digitization” of the process. Just like in any other technology implementation, the underlying business process must be clearly defined before you decide on the technological solution; same is true for Performance management. Here you will have to define how do you want your Performance management process to look like post digitization or automation. Here you need to consider all key stakeholders of the process – employees, managers, customers and even your shareholders or owners. What each one of these expect from the current & future performance management system? What’s broken in the current process from their point of view? Once you have this, you should then go back to the drawing board to design your performance management system because if you are going to buy software without having an underlying business process to support features of the software, you are going to set yourself up for failure. The technology solution should be able to give a superior experience to the user/s and hence this becomes a critical aspect of your overall evaluation framework. Involve , engage with as many stakeholders as possible on the solution experience – because in the digital world every click counts and mounts the pressure on the process. The most critical aspect is, how seamless the overall experience with the system is and how does the performance management system interact with upstream and downstream systems – existing or being considered. Your performance management process is the most central process, where a lot of data about each & every employee is generated every day, month, & year. The solution you are considering should be able to help you not only record but analyse this information in an effective manner. Here one must look at the solutions capabilities to add additional sources of data from external world – integration with 3rd party applications or upstream HR applications like recruitment system could be important. 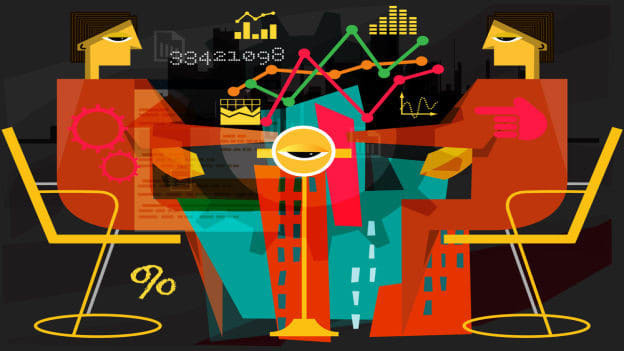 Embedded HR analytics in the solution should be a critical consideration as this is where you can slice and dice the available data to identify trends and ask pertinent questions to business to bring a lot of value to your “talent management” efforts. Given this background we understand the quantum of work to be done internally before digitizing any process in general and Performance management process in particular. Lets now look at what’s available out there in the market as solutions. Here our attempt is to provide a more global list – while also including Indian companies – as we believe Performance management systems & processes are globally relevant & applicable – mostly like the recruitment process as its after all a workflow or sequence of activities defined in a particular manner. As you can see the marketplace is bursting with solutions of different types and with varying degree of complexities and coolness associated with them. With Performance Management & Talent Management becoming a key consideration for most organizations, selecting a right technology partner is critical to your success. As per PeopleMatters and SAP SuccessFactors HR Technology Study in 2016, 79% of companies have already adopted the Performance Management solution, so how do you now ensure that your existing technology solution can keep pace with changing performance management processes & philosophies? In the same report it also states that 7 out of 10 companies claim to have automated more than 50 percent of Performance Management function. This clearly indicates that companies may look for “point-solutions” to integrate with their existing 50 percent automated processes, this would be the biggest challenge that both companies & providers will have to solve. As a buyer can I really only buy a feature here & a feature there to ‘stitch-together’ a customized PMS for my organization? The top 3 challenges with HR technology adoption & Implementation as highlighted in this report are – Budget Constraints, Technology Selected not capable of solving the business problem and Unsuccessful change management. Most HR leaders and owners will have to be cognizant of this fact and ensure that in their technology implementation they have taken care of these aspects. What changes in my performance process & philosophies I will have to make if I implement this solution? Does it align with what I already have? Or wish to move to? How would this technology implementation impact the way my organization is organized currently? Most of these questions are extremely important if you want to evaluate any technology solution. They become super important in your Performance management technology implementation because this implementation would impact the most critical human process in your organization, which helps you collate & analyse critical information about your most critical resource. Most of the performance management process innovation has traditionally happened in the west and we have imported & implemented this knowledge in India. (See the info graphic mentioned earlier)The current trend in performance management is no different. The corresponding technology solutions are also hence originating in the west and I see very few solutions built in India which align to this global trend. I almost see nothing that has created or proposed a very unique Indian way to performance management based on our culture and practices, which would be a very interesting thing to do. 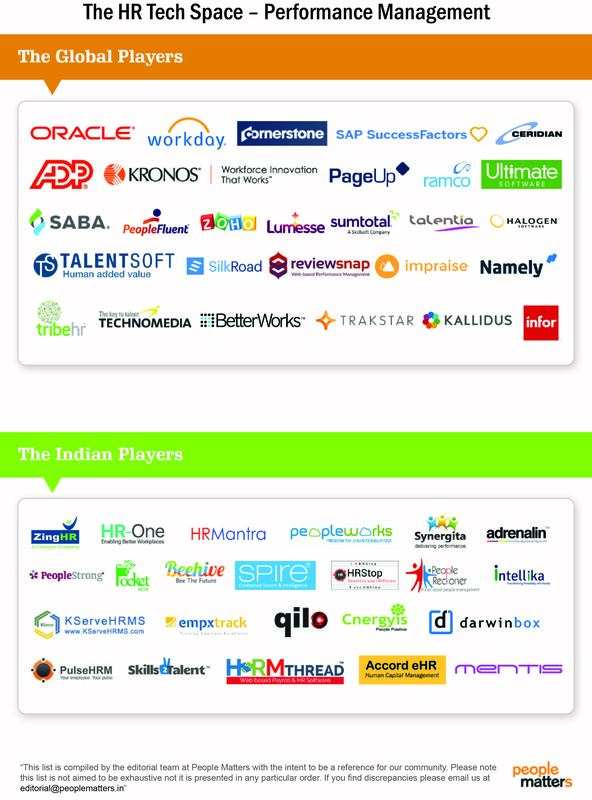 From an Indian context, most HR Tech players are entering in this space horizontally and there is practically no one who exclusively focuses on performance management as a vertical solution, which is a global trend. Especially given the fact that most Indian companies have 50% automated performance management, it would be interesting to see how these specific buyer demands are being met by suppliers. In this entire situation, a business leader or HR leader should be able to clearly state his/her need and business challenge, evaluate available solutions and be able to track the key business and process metric via the technology. In subsequent articles we will look at creating a generic model for evaluation of performance technology solutions and then focus on key and innovative players especially from an SMB perspective.